Our parts department is here to help and can help you find whatever part for your boat you are after. Summer is almost here. Now’s the perfect time to trade traffic and early mornings in the office for beaches, boats and ice cold beverages. Luckily for those looking to escape, Auckland is blessed with thousands of miles of pristine ocean, dotted with semi-deserted islands. Just a few minutes over the water and you could be sitting with your toes in the sand on a pristine beach, or frying up a freshly caught snapper on the deck of your Rayglass 3500. Here are a couple our favourite islands near Auckland to get you started this summer. Around 100 km north of Auckland, there’s a collection of small, rugged islands that have gained a reputation for excellent fishing. The area’s remote location means it should only ever be visited when the weather is fine, so be sure to check before you disembark. Even before you arrive, the scenery is impressive. Sheer cliff faces jutt out of the deep blue water, rugged beaches back onto wild native bush and a lone lighthouse sits at the highest point of the largest island. Burgess Island’s north side offers the best anchorage, sheltered from the prevailing winds. The Western side of nearby Groper Island is an excellent spot to land a kingfish, while snapper are best found off Fanal Island. The live bait tank out back of the Rayglass 3500 will come in handy here, so loan up on baitfish and drop your rod deep to catch a monster. The fresher the better – so fillet your catch right away on the boat’s expansive duckboard then throw it in the pan on the 3500’s onboard stove, fry it up on the barbie or even bake it in the oven, the choice is yours! The trip out is so long you might want to stay a while – luckily the 3500 has two spacious cabins and enough space to comfortably sleep up to four and another two on the U-shaped seating and collapsible table which converts into a double bed in the saloon if need be. Between Tiritiri Matangi and Waiheke in the Hauraki Gulf, there’s a scattering of Pohutukawa-covered islands called the Noises. Many of these are privately owned, so while you can’t land on most of them, Otata Island is an excellent spot to anchor. Interestingly, Maria Island next door was the first in New Zealand to become predator free in 1964, and most of the native bush remains as it was hundreds of years ago. Around 20 feet off the beach near the hut on Otata island, you’ll find a huge bed of scallops if you’re keen to get into the water. Penguins can also be spotted from the bay under the hut at night. These islands can get busy during the summer holidays but if you go during Spring or Autumn you may have most of the area to yourself. Our ideal trip here involves stocking the Rayglass 3500 with gear, filling the onboard fridge and freezer with supplies then grabbing some willing friends and family and spending a few days quietly fishing. There’s not much to do during the evenings here except for frying up scallops on the barbeque and entertaining on the 3500’s generous indoor/outdoor deck space. 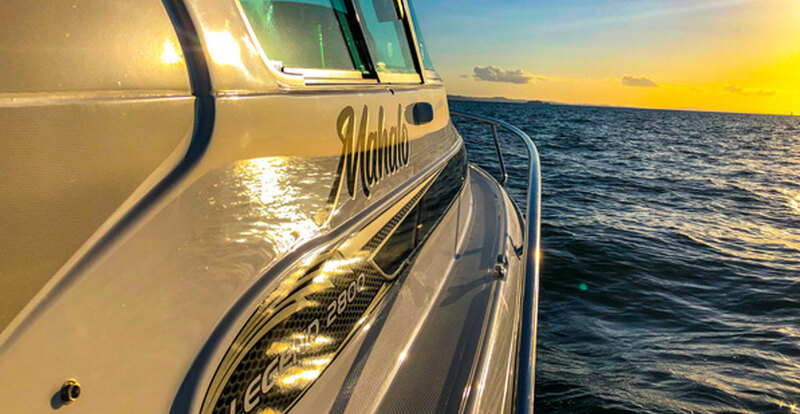 Get in touch to let us know your favourite island anchorages in the area, or to find out more about the Rayglass 3500 – the ideal vessel for exploring the Hauraki Gulf’s most remote islands. 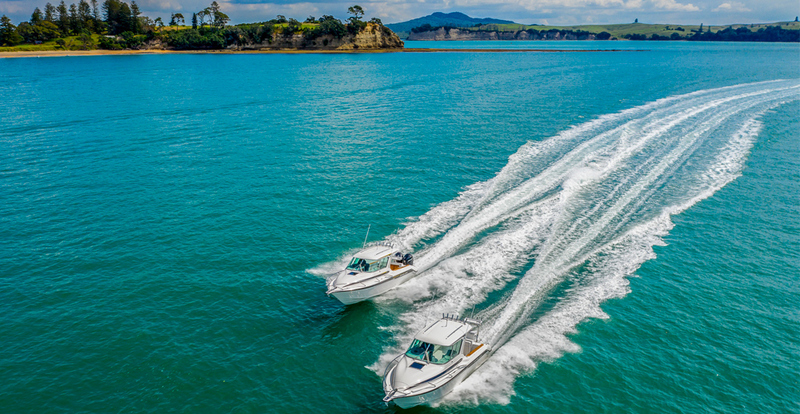 Easter weekend is the perfect opportunity to get out and explore the Hauraki Gulf and beyond. Here are three spots near Auckland to start with. Running into rough weather out at sea can be extremely dangerous. Here’s how you can stay safe out there. 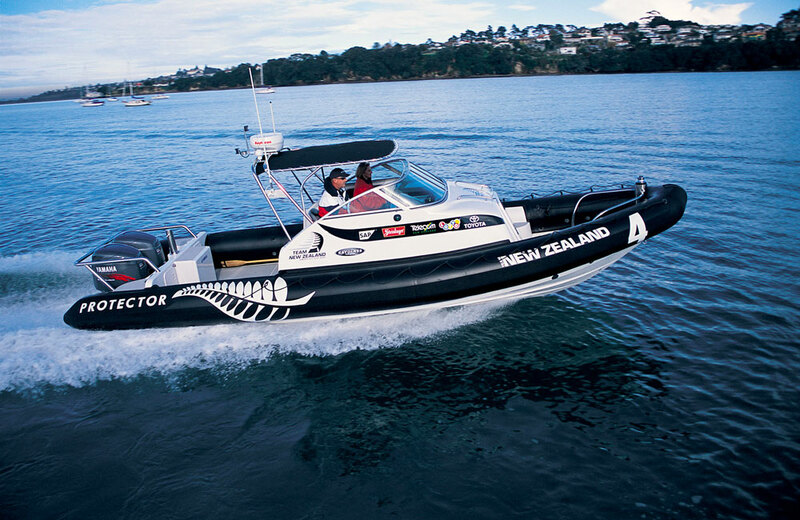 The Rayglass Protector series is used is by police forces and military as chase boats, support boats, island hoppers and more. We take a look back at its history.